Check out our excellent selection of Texas Longhorns!! All cattle are for sale at the right price!! 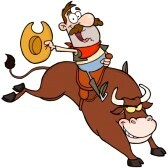 Don't want to own a bull, rent one from us!